Mariborsko Pohorje is a very extensive ski resort near Maribor (Slovenia's second largest city), located in Slovenia's north-eastern corner. 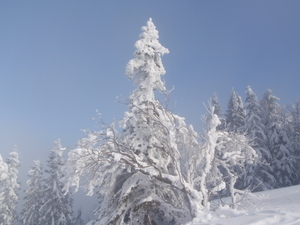 There are 40 km of well-groomed trails of all grades at Mariborsko Pohorje, served by 21 lifts. Mariborsko Pohorje is famous for its traditional Golden Fox Trophy, the annual World Cup women's alpine skiing competition, held in early January. The area is lit for night skiing, and its illuminated 5km ski run is the longest in Europe. 336m - 1,347m altitude. 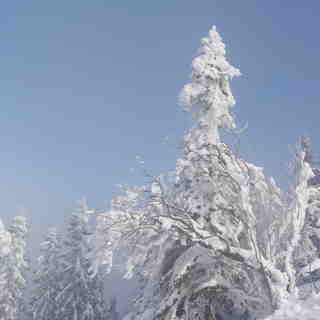 My wife and I stayed at the Bolfenk Hotel (1,035metres) and had a terrific weeks ski experience at Mariborsko Pohorje. The locals & staff are professional and very friendly. 1-on-1 tuition was available and well recommended, plus fresh snowfalls whilst there. An 'expert' skier may tire of the limited black-run options, but for the beginner/average & aspiring skier it's great. Slovenia offered us excellent value for money (30-40% better than France/Austria), great apre-ski and a lovely place to unwind after the ratrace in London. 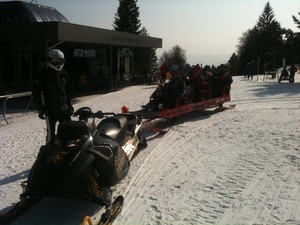 Totally recommend the place (Mariborsko Pohorje).